This recently refurbished spacious top floor two bedroom apartment has been finished to a high specification with the accommodation briefly comprising telephone security entrance system, private front door opening to spacious reception hallway, open planned lounge/diner/kitchen, superbly fitted kitchen with built in appliances, two double bedrooms ( one with en-suite shower room/w.c) and a further luxury bathroom/w.c. The property occupies a central position of Torquay town centre being within 500 yards of Torquay harbour side and deep water marina. 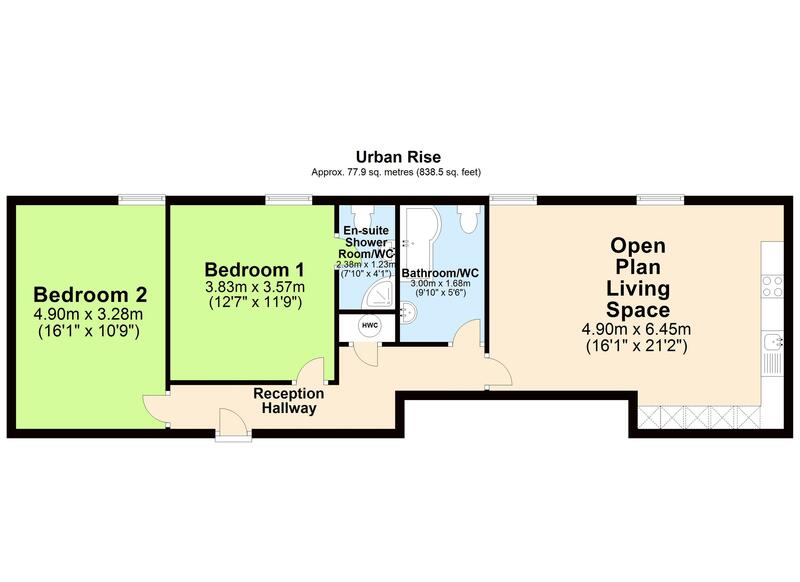 The apartment would make an ideal lock up and leave, first time buyer or investment property. An internal inspection is highly recommended to appreciate the size and condition of the accommodation on offer.